“I admire anyone who can get something done on a shoestring,” says Rhode Island local filmmaker Brett Davey. “But I think sometimes people who do film or video get caught up on waiting until they have the best piece of equipment.” He’s talking about his latest and fifth feature film: The Return of Brute Force. The film may seem on the surface to have a straightforward plot: A group of students from Scarpa Elementary School takes on bullies while their school gets the squeeze from a big corporation. However, this film is anything but conventional. From its conception to casting and every step in the nine-month filmmaking process, each aspect was a collaboration between the generations. Timothy and Van Davey, Brett’s two sons aged 9 and 13, were involved with the film from the outset. Davey’s youngest son came to him with an idea for a movie that would eventually become The Return of Brute Force, a local, independent film starring his sons and their friends. “The quality is very good for such a small crew; some of the kids were 4 feet tall, but I think people will be surprised with the level of acting and quality of the film,” says Davey regarding his cast and crew. Casting for Brute Force was relatively easy, except for one role. Davey had a hard time finding someone to play the bully; he ended up searching on a Facebook group for young actors and found Charlie Tacker. According to Davey he was incredibly professional and fit right in with the other kids; Charlie also has a pretty impressive IMDb page. Another person involved with Brute Force who should be mentioned was Delia Maguire, a neighbor and current high school student. She was vital, filling the roles of the assistant director and script supervisor during filming. “Sometimes in life there is less of an emphasis on the arts and on creativity in general; you see it less in schools now, too,” said Davey. The Return of Brute Force was a creative outlet for everyone involved. The kids weren’t only getting acting experience with this project, they were able to practice various production responsibilities, like holding boom mics and assisting with the lighting. They were encouraged to bring their own unique ideas to the set, including suggestions concerning dialogue, line delivery and costumes. 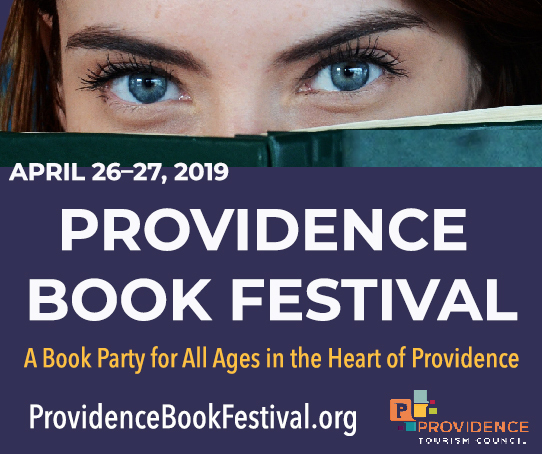 Not only does Brute Force have a locally sourced cast and crew, but an original score with contributions from four Rhode Island musicians who volunteered to work on the film. Davey has worked with Damian Puerini, Joe Principe, Glenn Robinson and Dylan Sevey in the past shooting music videos. They came forward with music written specifically for the film as well as some music they already had in their canons but never found a project that fit. Brett Davey likes to make people laugh; four out of his five feature films have been comedies. He said that The Return of Brute Force obviously has overt anti-bullying and anti-corporation messages, but that it’s not a “message-movie” per se. The very existence of the film itself sends strong messages, a sense of the importance of community and collective creativity. 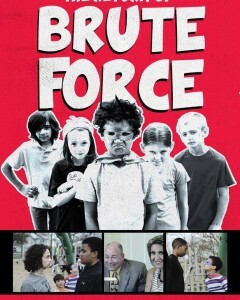 The Return of Brute Force will be premiering at 4pm on Saturday, June 11 at The Columbus Theatre located at 270 Broadway, PVD. Previous post: Don’t Quit Your Day Job, Mike Fasulo! Next post: Advice from the Trenches: Why Do I Get Attached?